Size Illustration Please measure the circumference of your hands by measuring tape and compare with the chart below to know which size is fit for you. Size Hand Circumference IN CM S 6.6 - 7.0 17 - 18 M 7.0 - 7.7 18 - 19.5 L 7.7 - 8.5 19.5 - 21.5 XL 8.5 - 9.1 21.5 - 23 Keep the following thing in mind: If you are between two sizes choose the smaller size. 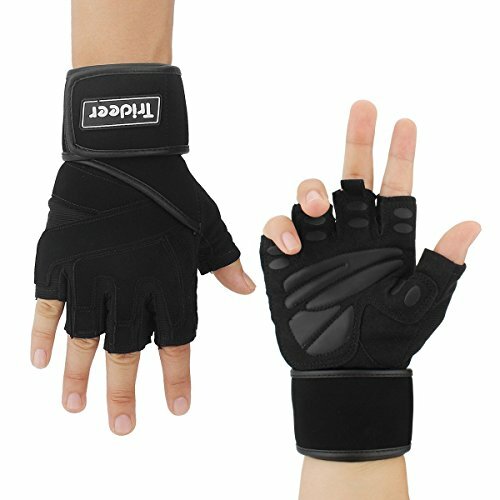 Product Feature Material: Ultralight Microfiber & Anti-Slip Silica Gel Design: Multi-Mesh & Half-Finger Workout Gloves with Wrist Wrap Support Workmanship: Sweat and Odor ResistantMultipurpose: Weight Lifting, Pull Up, CrossFit, Cycling, Driving, Fitness, Gym training Washing Notice Preferred washed by hand. Soak the gloves with soap, then rub and wash. Don't use hot water, bleach and other strong acid. Don't expose to the sun for too long. Reddot Warranty Reddot is focusing on customer shopping experience. 30 days unconditional refund and 12 months guarantee for a new replacement will be your best choice. 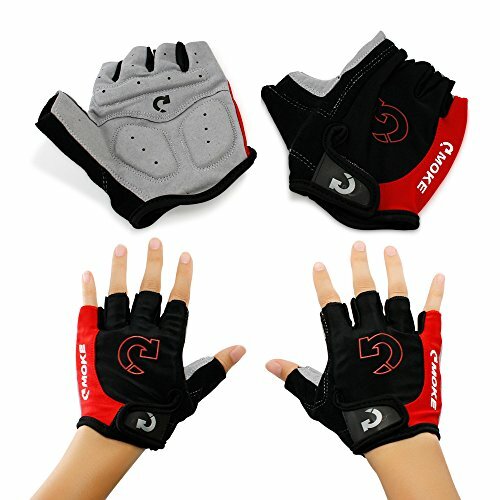 GEARONIC TM New Fashion Cycling Bike Bicycle Motorcycle Shockproof Foam Padded Outdoor Sports Half Finger Short Gloves - Red "M"
These ultra-padded biking gloves will soften the impact and vibration of your hands on the handlebars instantaneously, efficiently decreasing risk of shock-induced wrist injuries and fatigue, as well as soreness and pain. 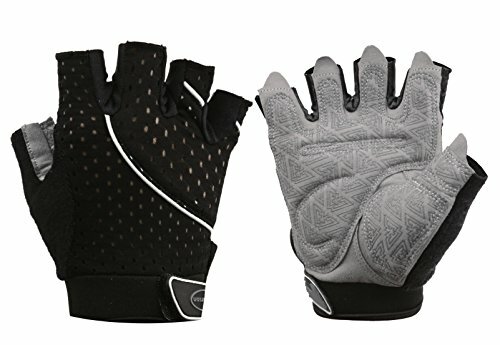 The half-finger design preserves lever feel, and the super lightweight material on the side without padding whisks away sweats and breathes very well to provide just the right amount of cushioning, so you can adequately feel the road through the bars, while keeping your hands cool and dry and protected. 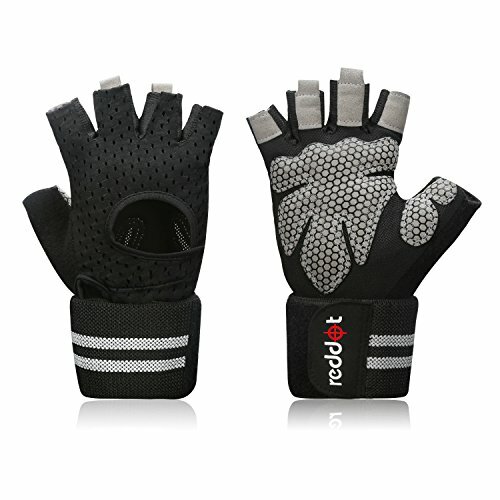 A heavy duty soft and flexible suede for the padding side provides comfort and durability. 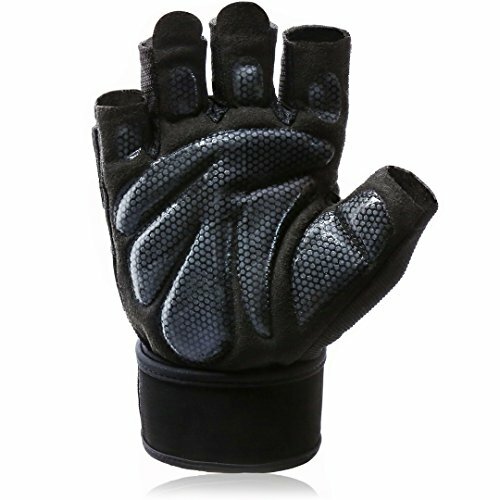 Comes in Blue, Grey, and Red in sizes "M" "L" and "XL"
Size Chart: S (Fits 6.1-7.1 Inches) M (Fits 7.1-8.2 Inches) L(Fits 8.2-9.2 Inches) Fabric Performance: Made of high-elastic nylon fabric and wicking material. 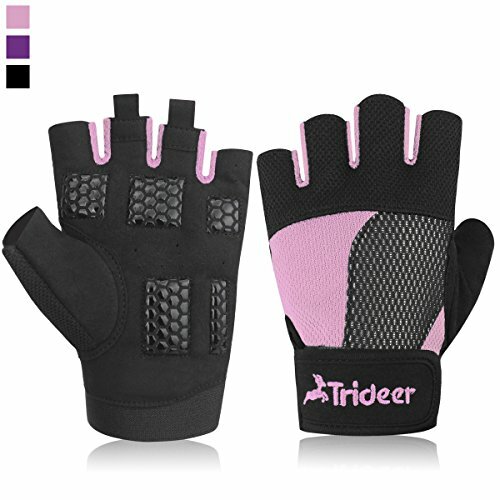 It is breathable, lightweight, quick drying and durable. Design Features: Silicone antiskid：Adopt the honeycomb silicone coating to prevent slipping. It is wear resisting and can increase the friction between the equipment. 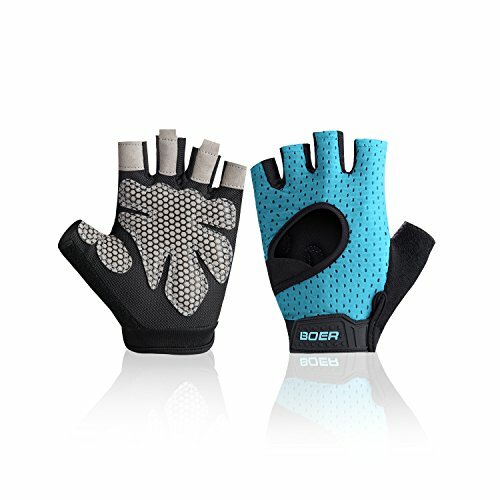 Perforated breathable: Adopt hand-back mesh porous fabric, which is comfortable and fit. : adopt hand-back mesh porous fabric, which is comfortable and fit. Hollow design: Hand back hollow design, which is fashionable and beautiful. 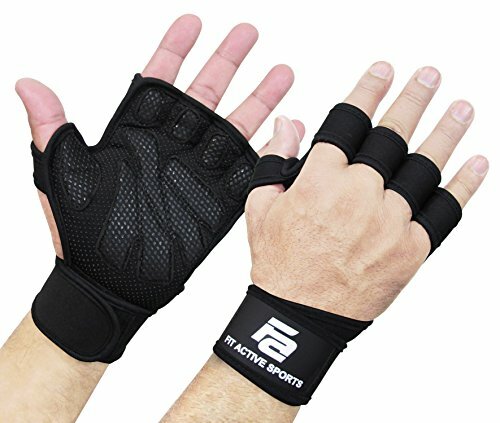 Elastic fabric: Hand stretch breathable fabric. It is breathable and can discharge perspiration without sultry. If you have any problems please feel free to let us know. We will provide you with the best after-sales service. 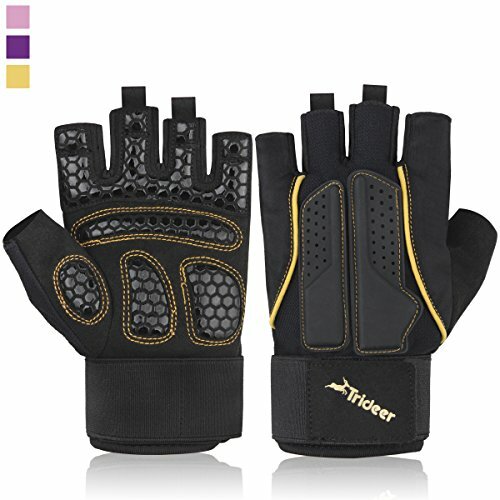 Size Chart: S: 6.69-7.08inch / 17-18cm M: 7.09-7.67inch / 18-19.5cm L: 7.68-8.46inch / 19.5-21.5cm XL:8.47-9.25inch / 21.5-23.5cm Pls measure the circumference of your hands (as picture) by measuring tape and compare with the chart to know the size of your gloves. 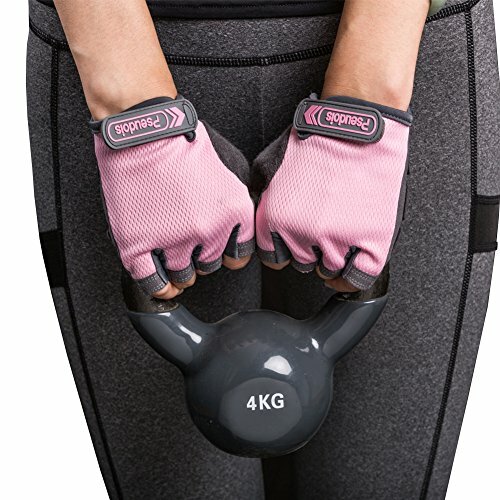 Compare prices on Padded Gym Gloves at ShoppinGent.com – use promo codes and coupons for best offers and deals. Start smart buying with ShoppinGent.com right now and choose your golden price on every purchase.